Simply defined, a mortgage loan is a borrowed amount acquired from a financial institution to purchase a house. With mortgage loans, the home that you are supposed to build after years of working hard can be grasped today. Homeownership can also be a good source of investment. Simply paying to own a home can help you gather a substantial net worth. The value of the property appreciates, allowing the money you paid for your house to grow double or triple after a couple of years. Along with the great privileges of this “move in now, pay later” solution are huge responsibilities you should keep in mind. Before you go envisioning your dream home and filing for a mortgage loan, here are five of the basic questions you should ask yourself. 1. Where do you plan to borrow? Lenders are financial institutions like banks that you’ll be making transactions with for the next ten to thirty years of your life. So before you go “house hunting”, it is necessary to choose the lenders that have established a good reputation for years. With this, you’ll be able to talk to professional people who can educate you well regarding the terms and costs that you have to face, rather than persuading you in choosing offers with hidden agendas. 2. How qualified are you? Having a decent job and a good monthly salary may not be enough to please your lender. In order to know whether you’re worthy of borrowing, you should pass the pre-qualification and pre-approval. Pre-qualification is the initial step to borrowing. In this process, you give your lender general information about your financial background including your, income, assets, debts as well as your plans and goals. With this, your lender can give you an idea of the amount and the type of loan which you can qualify. Pre-approval is like a “level-up” version of pre-qualification wherein your lender does an in-depth look at your ability to purchase a home. In this process, you are required to provide necessary documents such as your proof of income, proof of assets, and credit report. The lender will not just give you a general idea but a specific and realistic mortgage amount for which you are approved. 3. What type of loan would you prefer? Fixed rate loan, as its term suggests, is a type of loan that charges a set rate of interest that doesn’t change. As a homebuyer, you will be protected from sudden increases in monthly mortgage payments if interest rates rise. Fixed rates offer less complex payment schedules and even allow borrowers to give extra payments to shorten the term of the loan. The main disadvantage, however, is the difficulty in qualifying for the loan since the payments are quite more expensive. Variable rate loans, on the other hand, are loans tin which the interest rates are subject to change. The biggest downfall of this mortgage loan is the payment shock after the interest rate increases, wherein you may experience increases in monthly mortgage payments. However, variable-rate mortgages have lower initial interest rates, resulting in lower monthly payments which make them a great choice for some borrowers. Since payments are more affordable, it is easier to qualify for variable-rate loans compared to their fixed rate counterparts. Not all loan types are applicable to all borrowers. 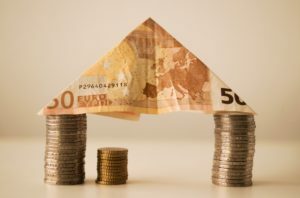 Fixed rates are recommended to those who have a stable source of income and intend to own their homes for a long time. If you anticipate declining interest rates and plan to dwell only for a limited number of years, the variable-rate mortgage is the best choice. 4. Do you know the costs you’re about to pay? As expected, great privilege comes with great costs. Aside from the principal costs and the interest rates, you should also be aware of other costs you have to pay in the process. One of these costs is your downpayment. In most cases, down payments are equal to or greater than 20% of the price of your home. If there’s a fee during the “opening” of your transaction with your lender, there’s also a fee for closing, simply called the “closing costs.” These are miscellaneous fees charged by the people involved with the home sale process, including the processing of the loan, title transfer fees, and more. In order to avoid inconvenience and conflict between you and your lender, make yourself educated of these additional expenses and save up for them. To help you with your calculations, you may use a mortgage calculator, a tool used to estimate a mortgage’s monthly payments. Let’s say you have been qualified, have settled your down payment and have chosen the type of loan you’ll be facing monthly. Perhaps the biggest challenge here is staying true to your word. At the end of the day, it all boils down to your reputation and your capacity to pay off the loan, so make sure that your lender sees that you are a responsible and disciplined spender. The best thing you can do is to pay in full on time. If you miss your payments, you may be charged with higher interest rates and this may result in bad credit score, If this becomes a habit, you might be forced to face every borrower’s nightmare: foreclosure. It is the bank’s process of taking possession of your mortgage property after your failure of settling your payments. Scary isn’t it? You should also be disciplined in making transactions outside of your home loan duties. If it can be avoided, it’s safer not to avail credit cards or make other types of loans. Remember that your credit score reflects the way you handle your money so keep yourself from being drowned in an ocean of debts. Like other young adults, Ina also experiences struggles in saving money, yet she finds a way to become a responsible spender. She shares her views on money issues by being a daytime writer for Speedy Money Payday Loans, an Australian-based business, providing short-term borrowing solutions. This entry was posted in Real Estate Finance and tagged Borrowing, Home Loan, Mortgage Loan, Mortgage Loans, Mortgage Property, Property Loan, Real Estate Loan. Bookmark the permalink.